TUCSON, Ariz. — The 2017 Collegiate Baseball High School All-America teams are loaded with outstanding talent from across the nation. This year’s crop of high school athletes is impressive and talented on both the first and second teams. Twenty two players were selected in the first two rounds and Competitive Balance A and B of the 2017 Major League Draft. 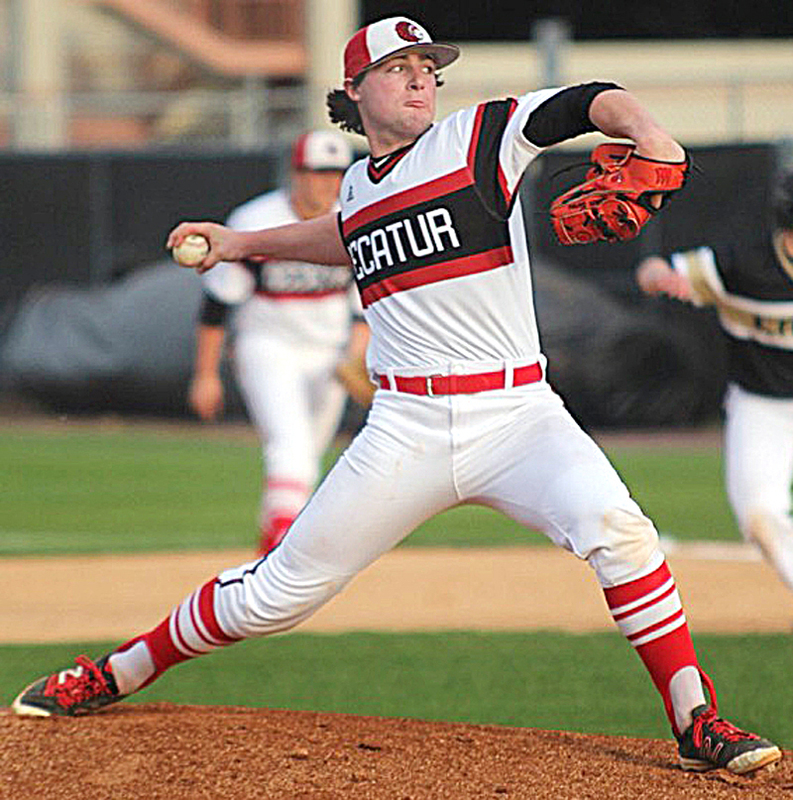 Leading the team is Collegiate Baseball’s National Player of the Year in RHP/SS Tanner Burns of Decatur H.S. (AL). As a pitcher, he was 10-1 with a 0.88 ERA, 8 complete games, 116 strikeouts, 22 walks in 64 innings. He hit .467 with 10 doubles, 4 triples, 16 home runs and 46 RBI. He drew 22 walks and struck out just 7 times in 105 at-bats. 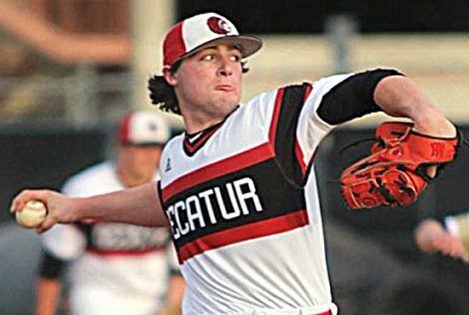 The 6-foot, 205 pound right-hander signed with Auburn. 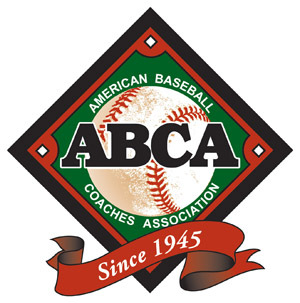 Nominations for the All-Americans are submitted by the player’s high school coach and the staff of Collegiate Baseball chooses the honorees. 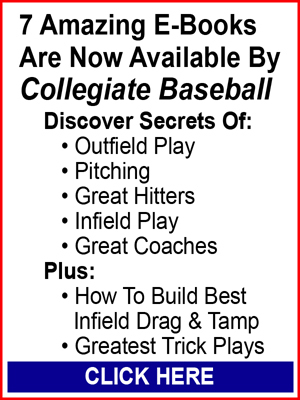 To read the full story with stats of each 2017 Collegiate Baseball newspaper’s H.S. 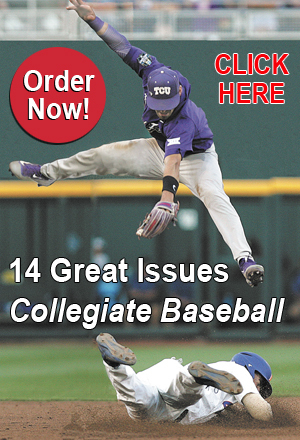 All-American, purchase the June 16, 2017 edition of Collegiate Baseball by CLICKING HERE. Nick Brueser, 1B, Hamilton H.S., Chandler, AZ . TUCSON, Ariz. — University of Florida Head Coach Kevin O’Sullivan is Collegiate Baseball’s 2017 National Coach of The Year. It is the first National Coach of The Year honor for O’Sullivan from Collegiate Baseball, and it marks the 12th time a Southeastern Conference head coach has won the honor since the award’s inception in 1980. 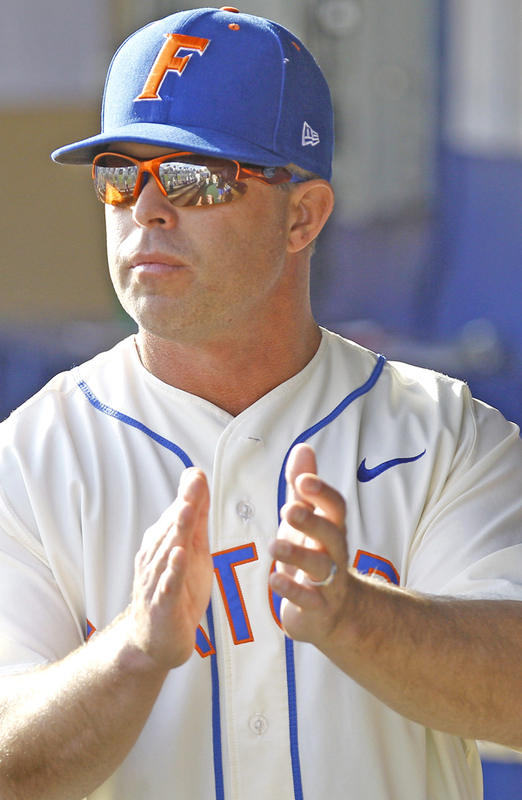 O’Sullivan led the Gators to their first national title in baseball at the recent College World Series. Florida didn’t commit an error in its last five games of the College World Series, an all-time record during that span of time, while its pitching staff fanned 68 batters over six games which was the second highest total by a national champion in history. The ball club was built on pitching and defense as the batting average for the Gators was .259 which was 224th out of 299 NCAA Division I teams. Florida had the fourth lowest batting average by a national champion in the 71-year history of the CWS at .222 as the Gators averaged 3.8 runs per game. It was the lowest batting average in the past 45 years by a national champion. Florida tied LSU for the Southeastern Conference title and had a superb overall record of 52-19 in its run to the national championship. The Gators overcame injuries, getting swept at Auburn to start the Southeastern Conference schedule, hitting slumps and more to win on the biggest stage and make Florida the only school in the last 50 years to win national titles in football, men’s basketball and baseball. During a tenure which has been marked by tireless recruiting, which has featured three No. 1 national recruiting championships as determined by Collegiate Baseball (2015, 2013, 2009), he has overseen a progression up the national ladder that has been punctuated by six trips to the NCAA College World Series in the past eight years, highlighted by a national championship this season, a runner-up performance in 2011, four Southeastern Conference titles in (2010-11-14-17), as well as 10 NCAA Tournaments in a row. • 2009: Paul Mainieri, Louisiana St.
• 2008: Mike Batesole, Fresno St.
• 2007: Pat Casey, Oregon St.
• 2006: Pat Casey, Oregon St.
• 2000: Skip Bertman, Louisiana St.
• 1998: Mike Gillespie, Southern Calif.
• 1997: Skip Bertman, Louisiana St.
• 1993: Skip Bertman, Louisiana St.
• 1991: Skip Bertman, Louisiana St.
• 1989: Dave Snow, Long Beach St.
• 1981: Jim Brock, Arizona St.
BIRMINGHAM, Ala. — The stage is set for possible bat testing throughout NCAA baseball starting with the 2018 season and throughout the playoffs. Thanks to successful experimental bat testing by the Southeastern Conference the past three seasons and the Missouri Valley Conference in 2017, a substantial body of evidence is now in place which virtually eliminates bat tampering. If the NCAA Baseball Rules Committee approves such testing in all NCAA games this summer with a start date of 2018, illegal, high performing bats will be eliminated in the game. “This is our third year of bat testing in the SEC,” said Herb Vincent, associate commissioner and baseball administrator with the SEC. “All of our schools have purchased the NCAA approved bat testing device (from LV Sports in Moscow, Idaho at a cost of $1,350 each). 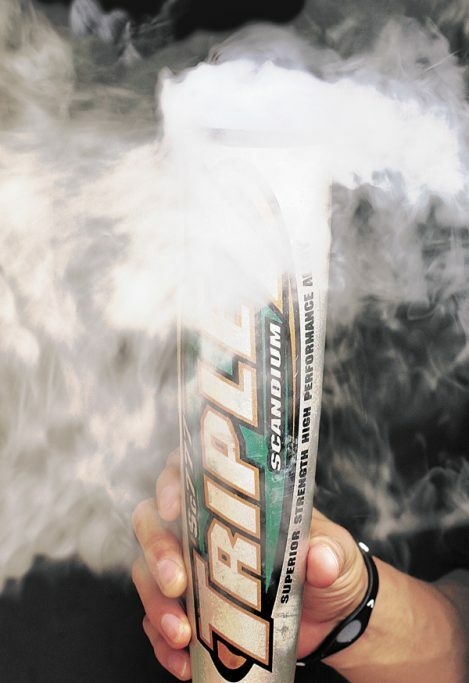 “To set up the proper testing protocol, we contacted the folks who run the Sports Science Laboratory at Washington State University who test bats for the NCAA and also have worked closely with the NCAA. Vincent said testing has taken place prior to conference series. “Two years ago, we tested bats prior to series in conference games only five weekends of the 10 only to collect data. We didn’t eliminate any bats that year. It allowed us to develop minimum standards. Vincent said that special labels are put on bats that are cleared for play. “Let’s say that Ole Miss is playing Georgia. Georgia’s bats will be tested by an Ole Miss administrator. The bats that are OK will have a special Ole Miss sticker put on the Georgia bats. A Georgia representative will test the Old Miss bats. Approved bats will get Georgia stickers on the Ole Miss bats. Vincent is proud of the leadership role the SEC has played in bat testing for baseball. Vincent said many of the bats that have been taken out of play were worn, cracked or not fit for competition. Greg Walter, associate commissioner with the Missouri Valley Conference, said bat testing has worked without a hitch in 2017 prior to conference series. “Our conference didn’t go to bat testing because of rampant doctoring of bats in our league,” said Walter. “We did it to be at the front end of the national conversation on this issue. Elvis Dominguez is the head baseball coach of Bradley in our conference and chairman of the NCAA Rules Committee. “There was great interest with our coaches to be involved in experimental bat testing and doing something pro active to put our league in a good spot. When our coaches met last August, they were very much in favor of doing bat testing this season. 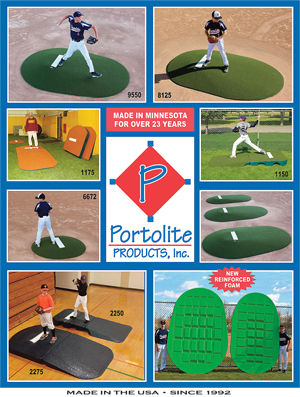 “Our administrators were supportive, and all schools went out and purchased the bat testing machines over the winter. We have done testing prior to conference series. Some schools have even had testing done in non-league games. “The testing has gone smoothly. We found that we didn’t have a significant problem with altered bats. When you do testing like this, it gives teams an element of credibility with the bats they are using and an assurance of integrity that no cheating is taking place. Walter feels this will be a big step on solving the issue of players using illegal, hot bats. “This is a conversation that needs to happen conference by conference because the bat testing machine is over $1,300 each. Each league must weigh the value against the cost. For us at the Missouri Valley Conference, we felt it was important to do this for the integrity of the game. Walter said the conference that deserves the most credit on bat testing should be the SEC. During a 2017 NCAA Rules presentation for NCAA Division I, II and III coaches at last January’s American Baseball Coaches Association Convention in Anaheim, Calif., Dominguez said that an unusually high number of people reported illegal bats being used during the 2016 season which alarmed the Rules Committee. “Once the regulations went into effect for these bats, we thought the problem of high performance bats was over. But last season, the Rules Committee got more calls than we ever expected on players utilizing illegal bats that had been rolled or had the barrels shaved for more trampoline effect. “Because of this, we need to test bats well before the College World Series so the right teams make it to Omaha without an illegal advantage. “Before we make it mandatory for all, we must see if the $1,350 cost of purchasing these machines is doable for conferences on the Division II and III levels. Dominguez said that if a player is found using an illegal, tampered bat made for higher performance, the Rules Committee is exploring serious consequences for those actions. “If a young man is found to have taken steroids, he will lose 365 days of eligibility for a first offense from the date of the test. Dominguez said that many NCAA Division I teams have sponsorships through bat companies. As mentioned earlier, bat testing currently takes place in conjunction with the NCAA Division I College World Series. “Not only that, but the bat barrel walls are being shaved on the inside for greater trampoline effect as well,” said Drouches. Drouches did not feel comfortable giving a number of how many teams or players were accused of this illegal and highly unethical practice of doctoring bats last season. Drouches said that 20 bats were taken out of play at the 2016 College World Series after bat testing. As a comparison, 16 bats were confiscated prior to the start of the 2014 College World Series. To read more of this story, purchase the May 5, 2017 edition of Collegiate Baseball or subscribe by CLICKING HERE.